Garlic, Latin name Allium Sativum, belongs to the onion family Alliaceae including Shallots and Leek. 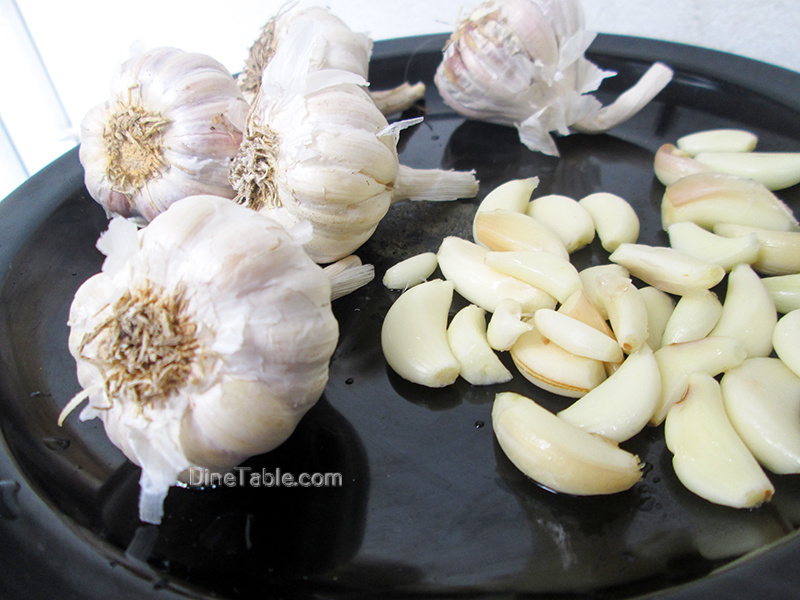 The garlic bulb is divided into sections called cloves. It has been used by humans for thousands of years and was used in Ancient Egypt for both culinary and therapeutic purposes. Garlic is one of the most common ingredients in Indian dishes but apart from imparting flavour to food, this tiny, white pod also has immense medicinal properties. The potential health benefits of garlic reside in its natural components, which include Allicin, a compound that is produced when you chew and crush fresh garlic. 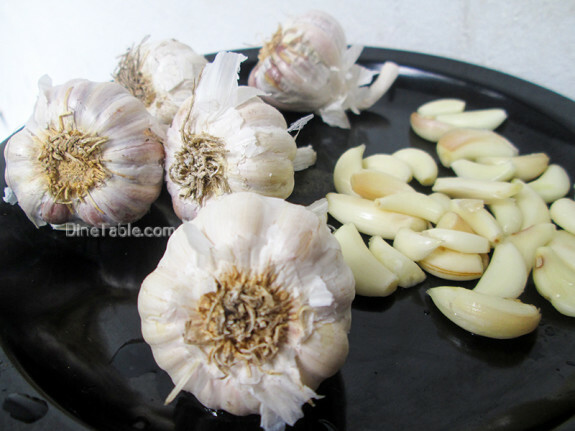 Garlic is a wonderful seasoning to add aroma, taste and added nutrition to your dishes. It is one of the most valuable and versatile foods on the planet. According to the University of Maryland Medical Center, a healthy adult can safely consume up to four cloves of garlic each day with each one weighing about a gram. “A single bulb of garlic a day, keep diseases away”. This wonderful herbal plant, grown for its underground root or bulb contains numerous health promoting phyto-nutrient substances that have proven benefits. Garlic can help to lower the risk of heart disease by lowering total LDL cholesterol. Garlic supplements can enhance the body’s ability to dissolve blood clots that would otherwise increase the risk of heart attacks by closing the arteries. A head full of hair that smells like garlic could help in the treatment of hair loss. The herb’s extremely high sulfur content contains Keratin, the protein with which hair is made of. This stimulates hair fortification and growth. Garlic supplementation is known to boost the function of the immune system. It helps to prevent and reduce the severity of common illnesses like the Flu and Common Cold. 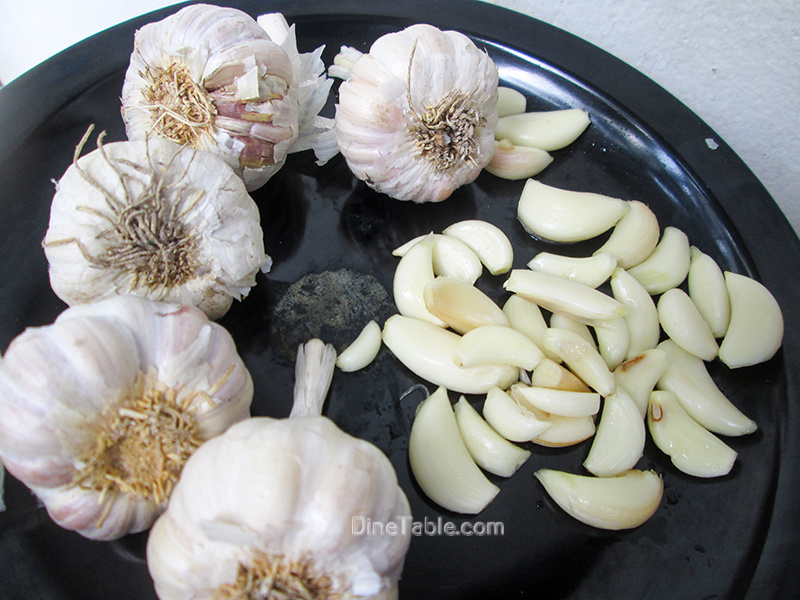 An old folk remedy is to eat a clove of garlic that has been dipped in honey at the first sign of a cold. Bladder Cancer, Prostate Cancer, Breast Cancer, Colon Cancer and Stomach Cancer have all been shown to have their tumors reduced when treated with garlic. Vitamin B6 is said to have cancer fighting abilities. The Cancer Center states that garlic may also boost the immune system by stimulating the activity of immune cells that recognize and destroy cancer cells. Garlic contains antioxidants that support the body’s protective mechanisms against oxidative damage. The combined effects on reducing cholesterol and blood pressure, as well as the antioxidant properties may help to prevent common brain diseases like Alzheimers and Dementia. Garlic is really high in manganese, which contains enzymes and antioxidants that facilitates the formation of bones and connective tissues, bone metabolism and calcium absorption. It contains nutrients that act as building blocks for healthy and strong bones. Garlic makes a great natural remedy to banish unsightly blemishes. It is a valuable herb for treating Acne Scars, Skin Diseases and Allergies. Garlic was one of the earliest “performance enhancing” substances. It was traditionally used in ancient cultures to reduce fatigue and enhance the work capacity of labourers. Garlic oil has been shown to improve the exercise capacity of people with heart disease. One study from India found that mosquitoes apparently hate garlic. You can either apply the garlic directly to your skin or just keep some nearby to keep the bugs out of your general vicinity. Some research indicates that garlic’s anti-bacterial properties might help to prevent food poisoning by killing bacteria. Scurvy is treated by vitamin C and garlic contains good levels of vitamin C.
The invigorating properties of garlic protect the skin from the effect of free radicals and slow down the depletion of collagen which leads to loss of elasticity in aging skin. It provides relief from skin ailments like Eczema, Athlete’s Foot and Ringworms.